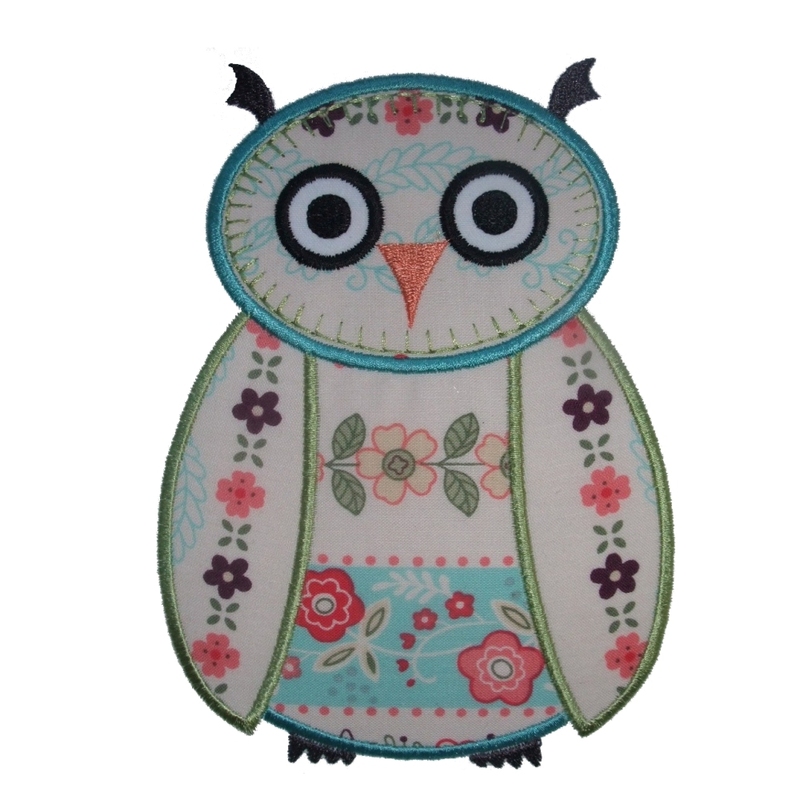 Wise Owl is now available in 5 sizes! 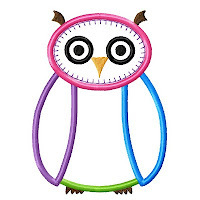 4x4 hoop - exact size 2.9" x 3.9"
5x7 hoop - exact sizes 3.7" x 5", 4.4" x 6" and 5"x7"
6x10 hoop - exact size 5.8" x 8"
Here is an animated sew out of Wise Owl. There are 6 applique areas in this design. It is best to keep his face relatively plain and the whites of his eyes as white, but you can go crazy with his wings and body. For an alternative, you can use white colored thread for the outside of his eyes (keeping the pupils dark is best). The blanket stitch detail around his face can be omitted if desired. If you are using quite plain fabrics, it is best to keep the detail to add interest. It gives him a feathery look. This is a sew out I did using blue and green colored thread and a careful placement of floral fabric. What do you think? Isn't he gorgeous!!! I have a favorite thing to do when I'm sewing out an applique. I like to go to the bottom of my fabric stash and use the ones that don't see daylight very often. It's amazing how often you strike gold! You can end up with a vastly different look every time you do a sew out.